Interest Groups: How are they regulated? Identify the various court cases, policies, and laws that outline what interest groups can and cannot do. Evaluate the arguments for and against whether contributions are a form of freedom of speech. As we noted earlier in the chapter, James Madison viewed factions as a necessary evil and thought preventing people from joining together would be worse than any ills groups might cause. The First Amendment guarantees, among other things, freedom of speech, petition, and assembly. However, people have different views on how far this freedom extends. For example, should freedom of speech as afforded to individuals in the U.S. Constitution also apply to corporations and unions? To what extent can and should government restrict the activities of lobbyists and lawmakers, limiting who may lobby and how they may do it? Most people would agree that interest groups have a right under the Constitution to promote a particular point of view. What people do not necessarily agree upon, however, is the extent to which certain interest group and lobbying activities are protected under the First Amendment. In addition to free speech rights, the First Amendment grants people the right to assemble. We saw above that pluralists even argued that assembling in groups is natural and that people will gravitate toward others with similar views. Most people acknowledge the right of others to assemble to voice unpopular positions, but this was not always the case. At various times, groups representing racial and religious minorities, communists, and members of the LGBT community have had their First Amendment rights to speech and assembly curtailed. And as noted above, organizations like the ACLU support free speech rights regardless of whether the speech is popular. Today, the debate about interest groups often revolves around whether the First Amendment protects the rights of individuals and groups to give money, and whether government can regulate the use of this money. In 1971, the Federal Election Campaign Act was passed, setting limits on how much presidential and vice-presidential candidates and their families could donate to their own campaigns. The law also allowed corporations and unions to form PACs and required public disclosure of campaign contributions and their sources. In 1974, the act was amended in an attempt to limit the amount of money spent on congressional campaigns. The amended law banned the transfer of union, corporate, and trade association money to parties for distribution to campaigns. In Buckley v. Valeo (1976), the Supreme Court upheld Congress’s right to regulate elections by restricting contributions to campaigns and candidates. However, at the same time, it overturned restrictions on expenditures by candidates and their families, as well as total expenditures by campaigns. In 1979, an exemption was granted to get-out-the vote and grassroots voter registration drives, creating what has become known as the soft-money loophole; soft money was a way in which interests could spend money on behalf of candidates without being restricted by federal law. To close this loophole, Senators John McCain and Russell Feingold sponsored the Bipartisan Campaign Reform Act in 2002 to ban parties from collecting and distributing unregulated money. Some continued to argue that campaign expenditures are a form of speech, a position with which two recent Supreme Court decisions are consistent. The Citizens United v. Federal Election Commission and the McCutcheon v. Federal Election Commission cases opened the door for a substantially greater flow of money into elections. Citizens United overturned the soft money ban of the Bipartisan Campaign Reform Act and allowed corporations and unions to spend unlimited amounts of money on elections. Essentially, the Supreme Court argued in a 5–4 decision that these entities had free speech rights, much like individuals, and that free speech included campaign spending. The McCutcheon decision further extended spending allowances based on the First Amendment by striking down aggregate contribution limits. These limits put caps on the total contributions allowed and some say have contributed to a subsequent increase in groups and lobbying activities. Read about the rights that corporations share with people. Should corporations have the same rights as people? While the Supreme Court has paved the way for increased spending in politics, lobbying is still regulated in many ways. The 1995 Lobbying Disclosure Act defined who can and cannot lobby, and requires lobbyists and interest groups to register with the federal government. The Honest Leadership and Open Government Act of 2007 further increased restrictions on lobbying. For example, the act prohibited contact between members of Congress and lobbyists who were the spouses of other Congress members. The laws broadened the definition of lobbyist and require detailed disclosure of spending on lobbying activity, including who is lobbied and what bills are of interest. In addition, President Obama’s Executive Order 13490 prohibited appointees in the executive branch from accepting gifts from lobbyists and banned them from participating in matters, including the drafting of any contracts or regulations, involving the appointee’s former clients or employer for a period of two years. The states also have their own registration requirements, with some defining lobbying broadly and others more narrowly. Second, the federal and state governments prohibit certain activities like providing gifts to lawmakers and compensating lobbyists with commissions for successful lobbying. Many activities are prohibited to prevent accusations of vote buying or currying favor with lawmakers. Some states, for example, have strict limits on how much money lobbyists can spend on lobbying lawmakers, or on the value of gifts lawmakers can accept from lobbyists. According to the Honest Leadership and Open Government Act, lobbyists must certify that they have not violated the law regarding gift giving, and the penalty for knowingly violating the law increased from a fine of $50,000 to one of $200,000. Also, revolving door laws also prevent lawmakers from lobbying government immediately after leaving public office. Members of the House of Representatives cannot register to lobby for a year after they leave office, while senators have a two-year “cooling off” period before they can officially lobby. Former cabinet secretaries must wait the same period of time after leaving their positions before lobbying the department of which they had been the head. These laws are designed to restrict former lawmakers from using their connections in government to give them an advantage when lobbying. Still, many former lawmakers do become lobbyists, including former Senate majority leader Trent Lott and former House minority leader Richard Gephardt. Third, governments require varying levels of disclosure about the amount of money spent on lobbying efforts. The logic here is that lawmakers will think twice about accepting money from controversial donors. The other advantage to disclosure requirements is that they promote transparency. Many have argued that the public has a right to know where candidates get their money. Candidates may be reluctant to accept contributions from donors affiliated with unpopular interests such as hate groups. This was one of the key purposes of the Lobbying Disclosure Act and comparable laws at the state level. Finally, there are penalties for violating the law. Lobbyists and, in some cases, government officials can be fined, banned from lobbying, or even sentenced to prison. While state and federal laws spell out what activities are legal and illegal, the attorneys general and prosecutors responsible for enforcing lobbying regulations may be understaffed, have limited budgets, or face backlogs of work, making it difficult for them to investigate or prosecute alleged transgressions. While most lobbyists do comply with the law, exactly how the laws alter behavior is not completely understood. 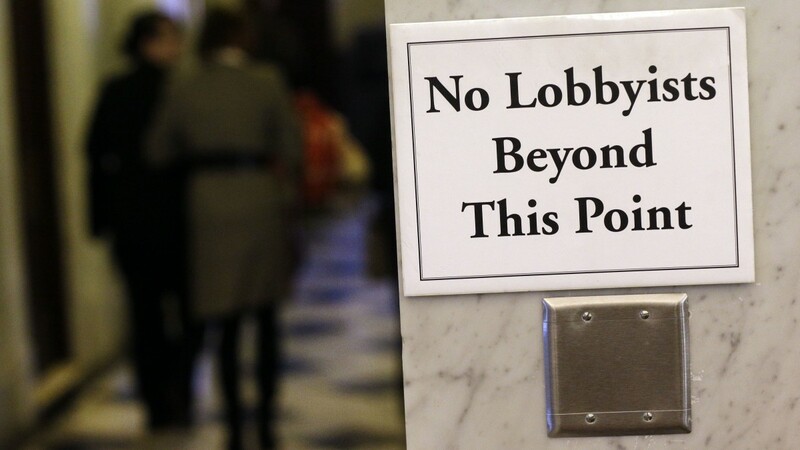 We know the laws prevent lobbyists from engaging in certain behaviors, such as by limiting campaign contributions or preventing the provision of certain gifts to lawmakers, but how they alter lobbyists’ strategies and tactics remains unclear. How might disclosure requirements affect lobbying? How might we get more people engaged in the interest group system? Are interest groups good or bad? Defend and explain your answer. Is it possible to balance the pursuit of private goods with the need to promote the public good? Is this balance a desired goal? Why or why not? How representative are interest groups in the United States? Do you agree that “all active and legitimate groups have the potential to make themselves heard?” Or is this potential an illusion? Explain your answer. American Government. Authored by: OpenStax. Provided by: OpenStax; Rice University. Located at: https://cnx.org/contents/W8wOWXNF@12.1:Y1CfqFju@5/Preface. License: CC BY: Attribution. License Terms: Download for free at http://cnx.org/contents/9e28f580-0d1b-4d72-8795-c48329947ac2@1.